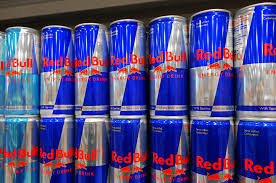 More good news on Red Bull bans - now Morrisons supermarket have joined Asda, Aldi and Waitrose in banning the sale of the high-caffeine energy drink to kids under 16. It all means that customers will have to prove they are over this age before buying Red Bull and any drinks which contain more than 150 mg of caffeine per litre. Morrisons say their decision is in response to customers' concerns and the ban will be introduced on 5th March. The UK teachers' unions have echoed the concerns, with the union NASUWT saying one in ten teachers have cited these high energy drinks as a key cause of poor pupil behaviour. Maybe we should raise the age limit to 18, as I understand college students are equally as bad behaved as kids in schools!